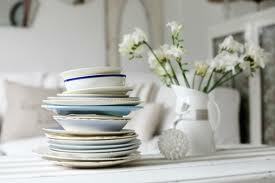 For the memory impaired, memory is like a stack of china. If you try to pull a plate from the middle, the whole thing comes crashing down. We need the time to continue our stories chronologically, one china plate at a time. This is why it is important to give us time to collect what is left of our thoughts, and the time to find the words to tell you about them. It seems crucial to me that others resist the urge to give us a nudge to hurry us along as that will most likely make us stumble and lose our footing, i.e. our words. This is when our plates come crashing down. In 2011 I wrote an article published in The Big Issue, and this is part of what I said back then. ‘Speaking and thinking is more difficult, the search for words, the meaning of words, numbers and equations are now a major challenge. I am seeing a word in strange ways, not as whole words any more but as if they are split into two. The acquired dyslexia is changing terms like Hamish and Andy into Amish and Handy. It is much harder to hide the symptoms, or to rely on the inner voice I have been using to help me to think and to find the right words to speak. It is harder to process information, to know how to act and to respond, how to behave appropriately and to know what to do in normal every day situations. It like being a swan – calm and serene on the surface, but legs paddling a thousand times faster below the surface to make things look ok to others. It feels humiliating and demoralising to show my symptoms, and I am often very fatigued as I spend a large amount of energy hiding them. As the months go by, I know I am paddling much harder, and occasionally wonder when I may not be able to paddle enough to hide the symptoms of dementia. I continue to try to negotiate a secure footing despite the ground relentlessly shifting beneath me. There is no balance. There is no place of respite. Dementia in many ways represents the end of dreaming, a long and unforgiving one way odyssey into obscurity, clouded in a thick and unforgiving fog. And yet, it has been possible to live a good life, with renewed meaning and even a sense of well being. This has been possible through continuing to live my pre diagnosis life, as well as the meaning and engagement from the advocacy work I do, my continued relationships with a few very special friends, and the many new friends I have made. Hi Kate, I am relatively new to your blog. I met you a a recent Alzheimers workshop in Parkdale and I thought you were inspiring. I have worked with people living with dementia for 25 years now and I continue to be in awe of their ability to rise above this awful disease. I look forward to your insights and commend you for your passion to advocate for people in your situation. My heart rips open for you. Thank you for sharing so that we understand. My dad had Alzheimer’s, as did my husband’s father. They’re both gone now, and every little memory slip causes the fear to crash into our being that we, too, will have Alzheimer’s too soon. Like our Dads. Thank you, thank you, thank you. Keep writing. It helps us understand, too. The writing helps me enormously, my ‘Narrative therapy’ in a way, and my blog readers (you) are my Narrative therapists! After attending a Narrative Therapy course for a whole week in 2012, I really do believe that. Thank you for your support, and I’m glad it helps you understand your own loss. 🙂 You bet. . . . I don’t doubt that you are paddling furiously but your writing still glides. Hello, sure you are the Queen of metaphors. Beautiful, thoughtful, and poetic as are you inside and out. Kate, your writing, your reflections and your deep concerns help to make us all aware of just how special and privileged we feel to be allowed a glimpse of your world. Be very sure we (and I am sure I am speaking for us all) will be here for you in whatever way we can. If blogging and being blogged (is that a word?) is sustaining and supportive for you – then its the least we can and will do. Keep writing – it is inspired and inspiring.